" Hearing Some fans have already picked up a copy and they are saying its Awesome"
Vocalist and co-songwriter to UK band BOA. Boa's music is essentially a mix of rock/ world/ blues and country, and their song Duvet went on to be used as the title track to anime Serial Xperiments Lain. Since that time, Boa have recorded two albums, Twilight and Get There and released an EP with Belgian distributors Dybex, currently awaiting release. My own work has included two songs, Armitage-Near Me and Baby Yoko for the soundtrack of Japanese/US collaboration anime, Armitage III. I am currently collaborating with different producers and working on acoustic songs of my own, experimenting with my own sound and lyrics. My only real interest in music is to explore sounds that move me, they could be my own or other peoples, and that feeling that you get when it moves you is my main addiction. A blend of classic rock and blues with a shot of funk. Simple bass and guitar lines that stick, plus vocals with character and passion. You will want to move. We have been told we sound like: the kings of leon, rainbow, deep purple, reef, free, rooster, doors (their early stuff), the black crowes, bad company, g-love and the special sauce, jet, black rebel motorcycle club, the verve, queens of the stone age, nick cave and the bad seeds, the white stripes, the rolling stones, lynyrd skynyrd, lady mercedes, electric shades of blue, ac/dc, the alo, the doors, lenny kravitz, the who, captain beefheart, jimmy hendrix, "led zepplin goes to the beach", "the beatles around the time they made come together" and "you guys really take me back to the 60's". Congratulations FREE WILL on releasing your first EP ! is featured in the latest Classic Rock Presents " Blues Rock " special issue. There is a feature on Free and two side articles on Free, a side article on Bad Company, and a side article on Black Cat Bones. Paul Kossoff is in a small picture on the cover along with, Cream, Led Zeppelin, Rolling Stones and Jeff Beck. Come and enjoy an exclusive night of great music and pay tribute to our many military heroes. VETUNES Evening with Simon Kirke will be held Saturday, June 9, 2007 as part of the inaugural benefit for The American Veterans Aid Fund. Hosted by VETUNES, a division of the American Veterans Aid Fund that works with the music industry to raise funds for veterans and their families, the concert will include legendary musicians Simon Kirke and Larry Oakes at the Mountainville Manor in Mountainville (Cornwall) New York. Opening for Simon Kirke will be Walter E. Hughes WWII Army, 82ND Airborne Division, I-CO 3RD of 504TH. During the course of the evening the American Veterans Aid Fund will honor and pay tribute to Sgt. Ed Ryan, WWII Army, 82ND Airborne Division, 319TH Glider Field Artillery and Sgt. Eddie Ryan USMC-Scout Sniper, 3RD Bn, 2ND Marine Division, Iraq. Give Chris a listen. He is very taleted !! I have a very wide, yet highly selective range of influences... Starting with Robert Johnson, Muddy Waters, Freddie King and BB King I put Mr. Johnson at the top of acoustic blues and everyone else a distant second. Muddy stands way out to me when it comes to the real blues electrified. The two kings are my faves when it comes to the blues solo guitar. I got into Eric Clapton with cream and blind faith and derek and the dominoes... and Duane Allman and the allman brothers pretty heavy and that really led me to the even older blues. I also got in to Peter Green pretty heavy for awhile. before I played guitar I was really into prince. I thought he was super cool and I was right. van halen is what made me beg my mom for my first guitar. Before I got into any of the old blues or Allmans or Clapton, I was a 100% AC/DC fanatic. I still am, just to a lesser percent, more like 95%. I think angus young's guitar is really what introduced the blues to me in the first place. Led Zeppelin, GOD! they're great! the who, I like their power. don't forget skynyrd. My favorite vocalist in the world is Paul Rodgers. FREE and Bad Company and everything else up to Queen. CARLA RUSSELL is the focal point of blues/soul/rock outfit Kozmic Mama. She has Janis's raw edge and Aretha's soul, but brings a modern edge to everything she does. concerts, parties, radio shows and festival appearances. Their music and steady demand of performances has brought about a new and exciting sound appealing to all! These three musicians have performed on some of the most popular and critically acclaimed rock recordings of all time - including "Stay With Me," "It's Only Rock and Roll," and "Juke Box Hero," and have sold a combined 50 million records throughout their careers. Now with the help of some of their prestigious mates, this trio of well respected British rockers - Kenney Jones (Small Faces, The Faces, The Who), Rick Wills (Foreigner, Peter Framptons, Camel, Small Faces) and Robert Hart (Bad Company) - have formed The Jones Gang and and released their first album in the USA early August, 2005. Titled Any Day Now the CD was released on AAO Music's Reality label, the UK release is scheduled for September through BUT! Records. Tickets go 'on sale' Tuesday 8th May... don't miss it! FAS Members orders recieved and are on their way!!! (re-airs 7 pm and 11 pm). Urban Rush is a daily entertainment TV talk show featuring guests from music, TV, film, etc. 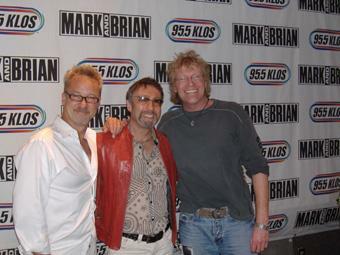 (Free - Bad Co - Paul Rodgers and the Molton Gold track ) on your Saturday show!! Sacha Baron Cohen to play Freddie Mercury? Welcome back to 'Be My Friend' - This site was under repair and is now working once again. Looking for a someone special to share you music with? If you haven't yet registered then please click here to fill in the application form. We are happy to have to have BE MY FRIEND working once again !! A small European nation launches a space program using the local wine as rocket fuel. Cast: Margaret Rutherford, David Kossoff, Ron Moody, Terry-Thomas. Ticket prices are subject to a $5 service fee, per ticket. as part of the inaugural benefit for The American Veterans Aid Fund. (PRWEB) April 23, 2007 -- Come and enjoy an exclusive night of great music and pay tribute to our many military heroes. VETUNES Evening with Simon Kirke will be held Saturday, June 9, 2007 as part of the inaugural benefit for The American Veterans Aid Fund. Hosted by VETUNES, a division of the American Veterans Aid Fund that works with the music industry to raise funds for veterans and their families, the concert will include legendary musicians Simon Kirke and Larry Oakes at the Mountainville Manor in Mountainville (Cornwall) New York. Opening for Simon Kirke will be Walter E. Hughes WWII Army, 82ND Airborne Division, I-CO 3RD of 504TH. During the course of the evening the American Veterans Aid Fund will honor and pay tribute to Sgt. Ed Ryan, WWII Army, 82ND Airborne Division, 319TH Glider Field Artillery and Sgt. Eddie Ryan USMC-Scout Sniper, 3RD Bn, 2ND Marine Division, Iraq. American Veterans Aid Fund (AVAF), a nonprofit, 501(c)(3) organization, was established as part of the American Veterans Aid family of companies to assist veterans and their families in obtaining and maintaining the respect, dignity, and honor earned through their service and sacrifice. AVAF has a relationship with veterans, their families, and veteran organizations based upon mutual regard and shared visions for a better tomorrow as well as common interests and values. VETUNES programs cover the full spectrum of the music industry to include events, recording, and representing veterans pursuing music careers. Exclusive VIP Reception with Simon Kirke, one hour Buffet Dinner/Cash Bar and an exclusive acoustical performance by Simon Kirke & Larry Oakes.